We are proud to offer this lamp which we believe is the very pinnacle of paraffin, (kerosene), oil lamp design and quality. Do not buy this lantern unless you expect only the very best...! This non pressure, wick lantern from Heinze in Germany is machined from brushed stainless steel with a 15 line burner from Gaudard in France. This modern designed lamp is equally at home on the patio or the boat and will give years of service. 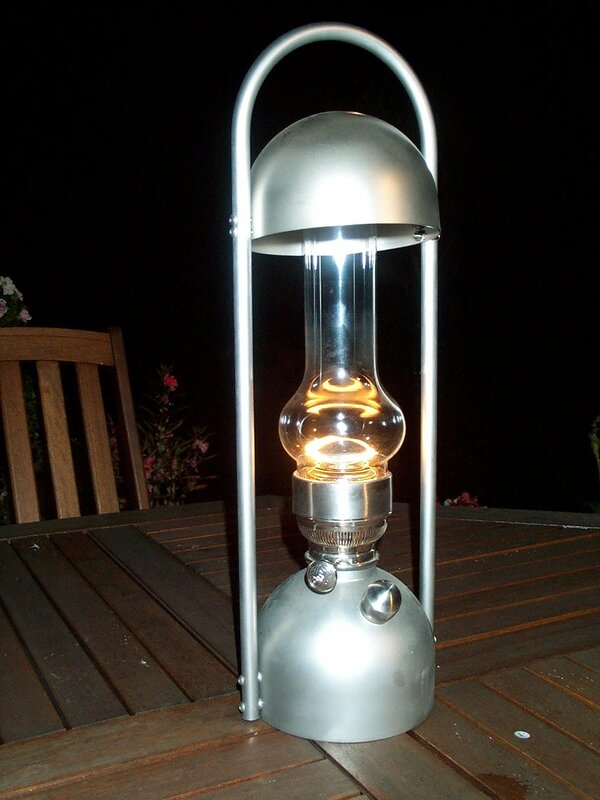 This indoor wick lantern from Heinze in Germany is made in the same quality as above but features a side carrying handle rather than the hurricane style handle and hood. This modern designed lamp is equally at home or the boat and will give years of service.